Digitally remastered Hunchback of Notre Dame silent classic paired with the Paramount Theatre's own Mighty Wurlitzer played by one of America's premier theatre organists, Walt Strony! The Paramount Theatre is home to a very unique theater pipe organ, “The Mighty Wurlitzer." The organ was constructed for the theater, known as the Capitol Theatre at the time, for its grand opening 1928. Theater pipe organs were invented in the early 20th century as a means to create a “one man orchestra” to accompany silent movies and vaudeville acts. This is precisely what the Wurlitzer was used for in the Theatre’s early years. In 1929, the Capitol Theatre was purchased by Paramount Pictures and renamed the Paramount Theatre. At this time, silent films were quickly being replaced with “talkies” and for the next two decades, the theater served primarily as a lavish movie palace. During this time, the organ’s use was sparse. All across the country, grand movie palaces saw a decline in attendance and many of these theaters were demolished. In some cases, organs were destroyed right along with the buildings. Fortunately, the City of Cedar Rapids decided against a proposed demolition of the Paramount Theatre and deemed it historically significant. Theater pipe organs saw a revival in popularity in conjunction with the advent of hi-fi records in the late 1950s. Musicians of the time were eager to produce interesting recordings and many made use of the nostalgic and diverse range of sounds unique to theater pipe organs. In 1969, the Cedar Rapids Area Theatre Organ Society, or CRATOS, was formed and sought to preserve the art of pipe organs, and after rigorous restorative efforts, began to present world-class performers in sell-out concerts at the Theatre. 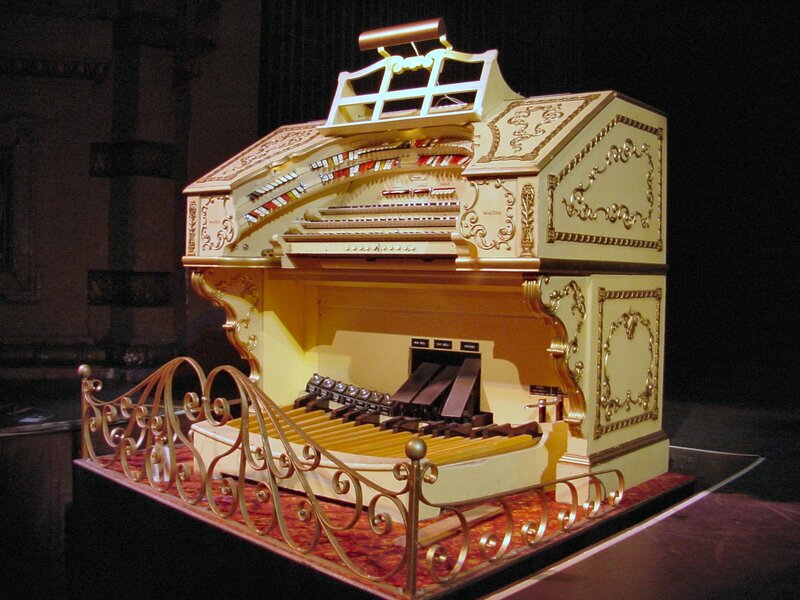 CRATOS became the appointed sole conservators of the Wurlitzer, which enjoyed much use over the next several decades. As a result of the Flood of 2008, the Wurlitzer console was ravaged by the raging waters. The damages were unprecedented and caused severe damange to this historical instrument. Attempts were made to rescue the console from the building, but in its state of disintegration combined with complicated infrastructure of wires that connected it to the floor, the removal process was not cohesive. Restoration plans were made by the City of Cedar Rapids, which included hiring organ specialists to replace the console with a professionally refurbished replica and restore all working parts of the organ to like-new condition. Renovation would be a long, complex project, requiring highly specialized and scarce skill sets. Over the next few years, every component of the organ was completely repaired. Even though only the console was damaged by flood waters and the instrument had been cared for over the years, a specialized team was commissioned to restore all elements that gave The Mighty Wurlitzer its unique sound. In October of 2013, the organ finally made its way back home. Over the course of the next six weeks, a team of nine people reinstalled the organ. Day after day, the team climbed up and down the organ chambers located behind the boxes on either side of the theatre’s wings. Once the installation process was finally complete, the organ sang…but the sound was not pretty. Before restoration could be deemed complete, an organ tone expert was contracted to help adjust every pipe to play to its exact specification in a process known as tonal finishing. It took about a week but The Mighty Wurlitzer sounded more spectacular than ever before. Don't miss this unique opportunity to enjoy the Mighty Wurlitzer in all its glory as Walt Strony brings to life the silent classic, Hunchback of Notre Dame!